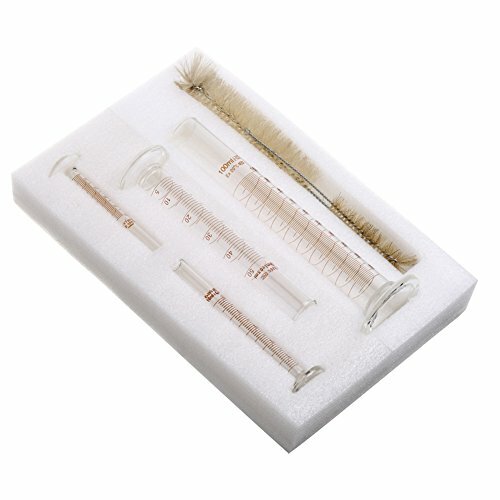 Made of heat resistant borosilicate glass. 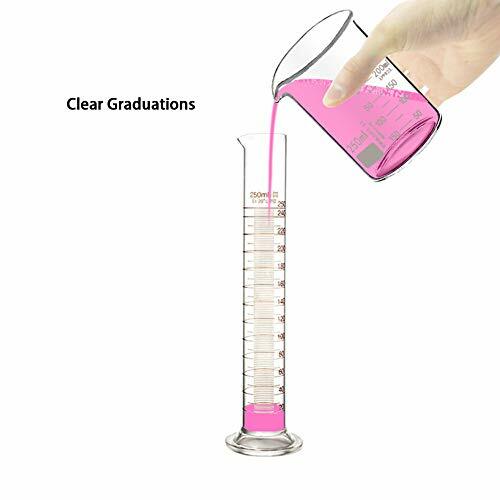 Why our Graduated Measuring Cylinder better than others? 2. 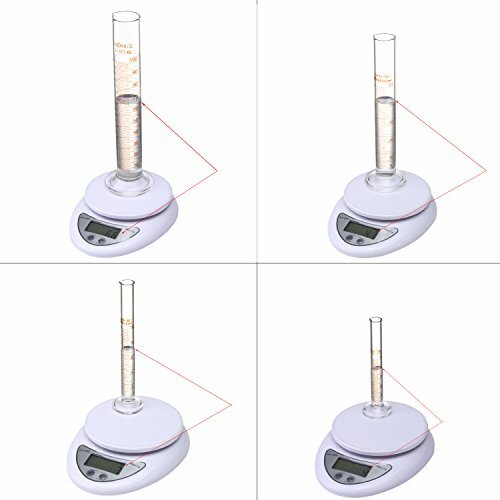 Graduated Measuring Cylinder is a measure of the volume of liquid tool. Specifications at maximum capacity that can be measured (ml). 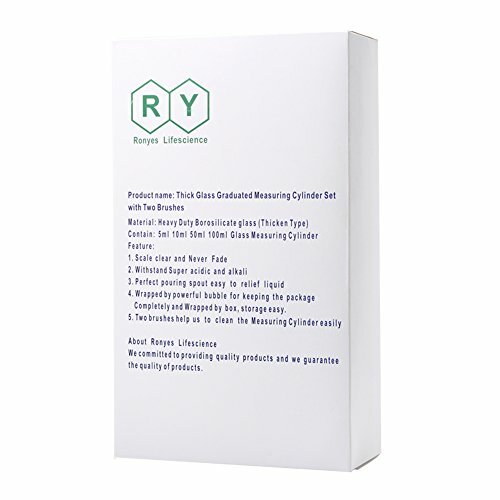 Commonly we use 5ml 10 ml, 50 ml, 100 ml. 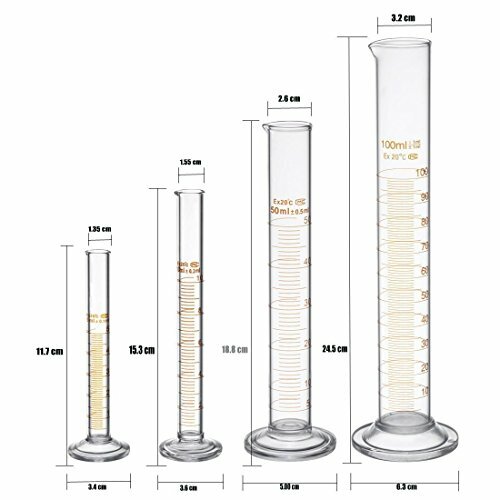 Outer scales are in ml, 10 ml Jane amount of each small grid represents 0.2 ml, and 50 ml graduated cylinder of each small grid representation 1ml. Visible cylinder larger the diameter of the thicker, the smaller the accuracy of reading error deviation from the line of sight caused by the greater. Therefore, the experiment should be taken based on the volume of the solution, try to use the minimum amount of energy a specification cylinder. Graded measure can also cause errors. 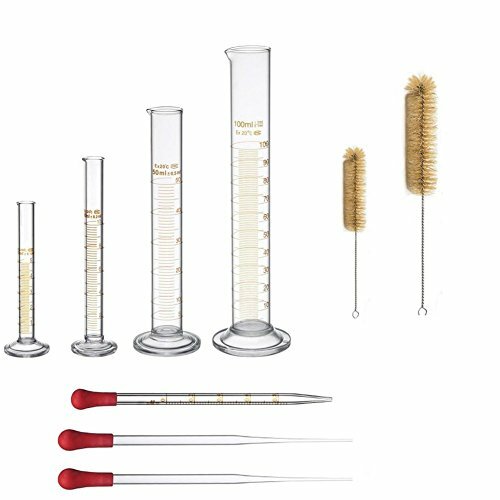 Such as the amount of liquid 70ml, 100ml graduated cylinder should be used. 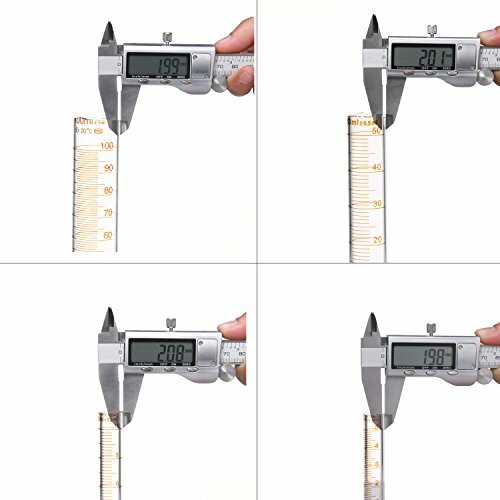 A variety of specifications of the cylinder to make your measurements more accurately. 3. 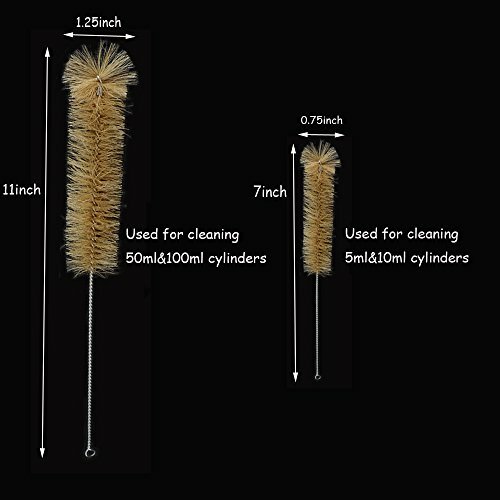 Two brushes help us to clean the Measuring Cylinder easily 3 Because the duty glass material and good packing , hardly damaged in transit. Quality Assurance.